John F. Kennedy once said, “Change is the law of life and those who look only to the past or present are certain to miss the future.” The same holds true for any business, if it wants to thrive. Often business owners know they need to scale their business, but they don’t realize that scaling their business opens other challenges. Subscription billing was made popular by SaaS (Software as a Service) companies, but the model is exploding across all industries, including music, video, books, marketing services, automobiles, legal services, business consulting, telematics, publishing, and food delivery. Businesses in virtually every industry have moved to this model. Predictable revenue—no more feast and famine every quarter. Flexible monetization models—the ability to match your pricing model to the value you deliver. Less sales friction. For example, $50/month for a single subscription is easier to close than $600/year, just as $5,000/month is easier to close with a business customer than $60,000 a year. Value monetization is the primary driving force of every business. How to extract money for the value delivered is an age-old challenge, but subscription billing addresses this issue and provides endless opportunities, all with a few clicks. 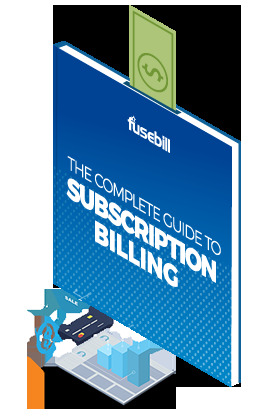 If marketing and sales can envision it, it can be billed using a modern subscription billing platform. Flexibility are all of value to your customers. The key is finding the right mix and having the flexibility to create a subscription to match the value you deliver. 1. Revenue Recovery. If you bill monthly, you need to collect monthly. While subscription billing lowers the barriers to making sales, it creates the need to collect monthly, creating the challenge of revenue recovery. We see revenue recovery costing companies between 1% to 4%. When properly managed, this loss in revenue can be virtually eliminated. Your next invoice will be issued on xxxx. Your payment information on file is outdated. Your payment has been processed – thank you. Your payment has failed – please click here to update it. Your payment is past due. To be assured continued service, a payment is required. If we do not receive payment, your service will terminate on xxxx. Being reactive also includes retrying the customer’s credit card, typically on day 2, 4, 8, 12, 16, 20 and 30. Second, you need to provide your customers with the tools to manage their subscriptions. This includes easy to read invoices and a self-service portal to allow them to update their payment methods, upgrade, downgrade, add users, remove users, etc. These tools need to be accessible 24 hours a day without the need to speak to anyone. 2. Revenue Leakage. Billing flexibility creates complexity for your accounting team. At a high level, revenue leakage is simple human error. We estimate that this makes up 0.25% to 1% of the top line. It happens when transactions aren’t billed correctly, which is prone to happen given the flexibility that subscriptions allow. Any other scheme that your marketing and/or sales team dreams up to align your billing to the customer’s perceived value or budget. As the billing options change and increase, it is going to be nearly impossible for your accounting team. 3. Superior Customer Experience (CX). Subscriptions are more complex, but your CX should not be. There is a lot of overlap in addressing revenue recovery and providing a superior customer experience. Customers want to be able to immediately subscribe to your service, so you need to plan for online sign-up pages and credit card capture (be mindful of the security and PCI requirements when capturing credit card information). Customers also expect self-service, via an online portal with the ability to access it at any time. Within this portal, they need to be able to read and download easy-to-decipher invoices, update payment methods, upgrade, downgrade, add users, remove users, etc. Further, providing a good customer experience needs to be done consistently throughout the customer lifecycle. This can be as simple as sending out an email prior to an annual billing to notify them that you will be billing them on a particular date. Without advanced notification, a customer can be caught off guard with an unexpected charge, causing frustration and burning up time trying to resolve the question with your client support staff. Another example of delivering superior customer service is by notifying a customer that their credit card is about to expire. This gives the customer the opportunity to update their credit card information before a failed billing attempt. 4. User Experience (UX). Subscription billing can create additional work for your accounting team. Customer emails will be configured and will go out automatically. Credit cards that fail will automatically be retried. Cancellation notifications will be sent automatically. Free trails will start billing when scheduled. Subscriptions will migrate and uplift as programmed. Subscription billing creates advantages for your customers as well as your marketing and sales teams, however managing the complexity not only takes a tremendous amount of time, but also opens up the potential for costly human error. How can your accounting users manage the complexities of subscription billing unless there is a system to do it for them? Subscription management platforms offer a practical solution. A subscription management platform manages the complexity and arms your accounting team with the tools it needs to bill, collect, manage, and analyze your subscription business. Once the software is properly configured and set up, your accounting team will have very little to do. With a robust recurring billing platform in place, for example, the average customer will receive 30 to 50 communications annually without any human intervention on the part of your accounting team. Advanced subscription software automation tools allow a business to customize all customer communications such as failed payments, expired credit cards, or past due invoices. Leading subscription management platforms also provide self-service portals so your customers can update payment methods, view invoices, or buy more services. Additionally, reporting dashboards on these platforms can provide immediate insights into key subscription metrics. With the ability to track churn and acquisition rates businesses can optimize service offerings for maximum subscription revenue growth. Revenue leakage, revenue recovery, customer experiences and user experiences all pose significant challenges as a business is trying to scale. However, all these complications can be mitigated when a business engages a proven subscription management and billing platform to automate its processes. Peter is the VP of Sales at Fusebill. He is a senior business executive with a demonstrated history of working in the information technology and services industry. Peter is skilled in negotiation, business planning, sales, contact centers, and management.